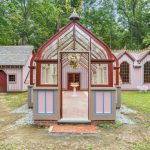 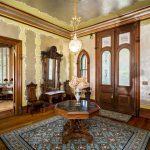 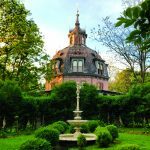 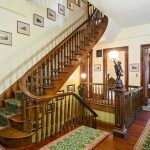 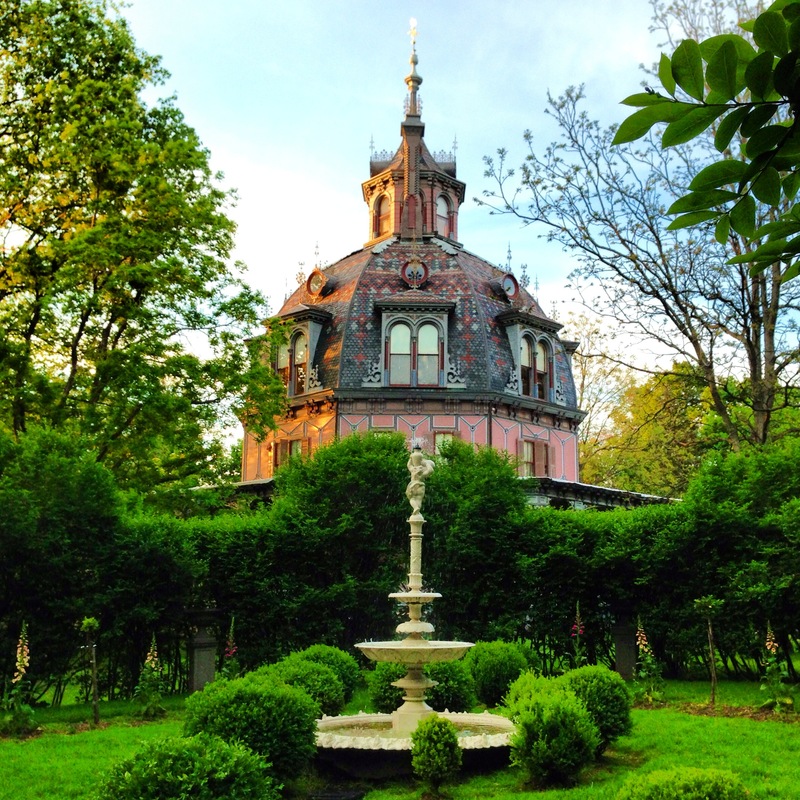 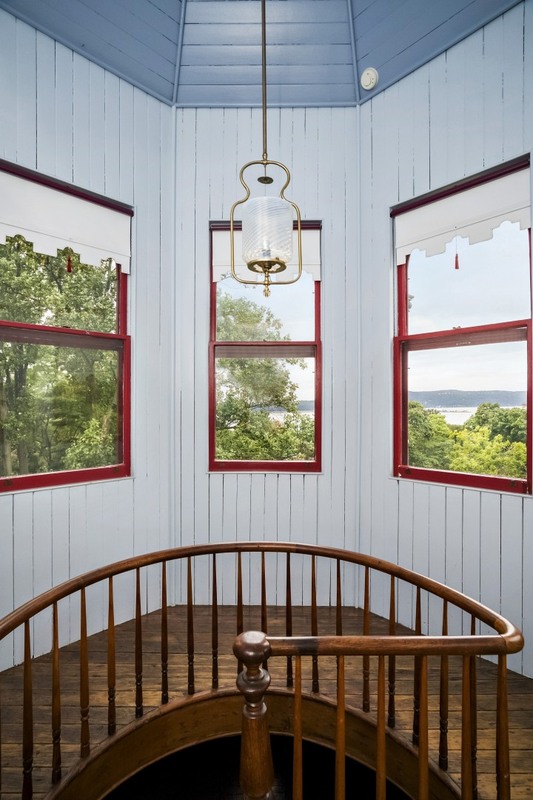 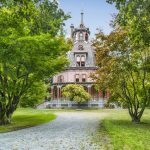 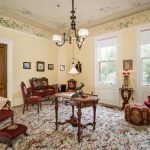 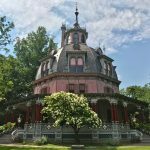 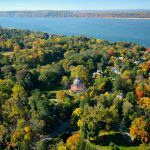 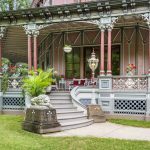 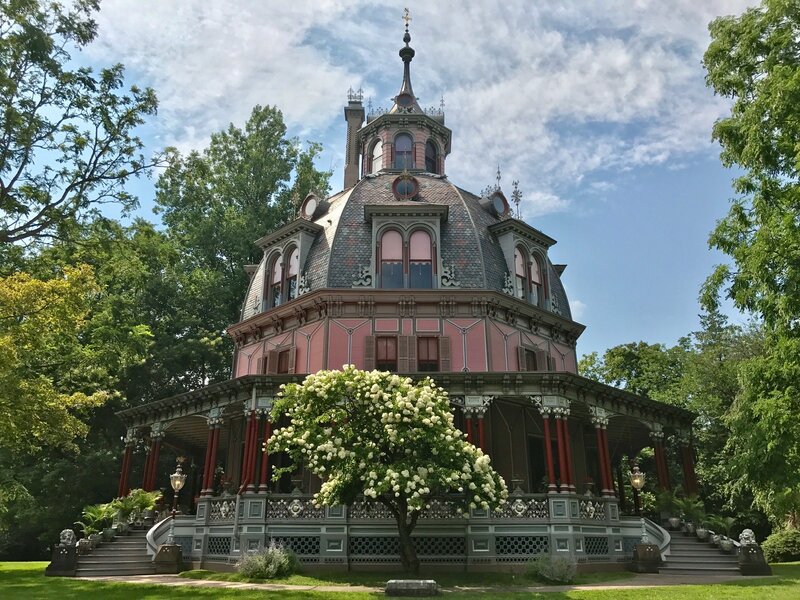 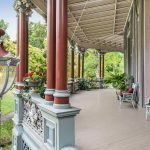 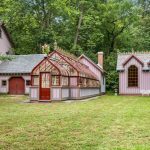 Built in 1860 by financier Paul J. Armour and enlarged between 1872 and 1876, the National Historic Landmark was used as a whimsical summer retreat for tea-importer Joseph Stiner; its shape was based on the theories of phrenologist Orson Squire Fowler. 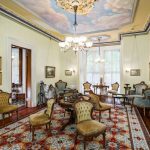 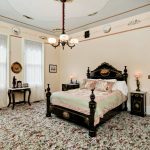 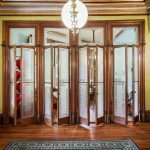 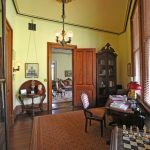 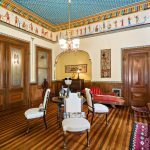 The home retains its magnificent ornamentation and furnishings–and the only remaining Egyptian Revival Room in America complete with original furnitureand decor. 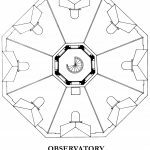 The house house replicates Donato Bramante’s 1502 Tempietto in Rome: The elegantly proportioned Tempietto was built in the form of a Tholos, an ancient classical temple, which complimented America’s third quarter of the 19th century fascination with classical forms. 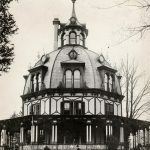 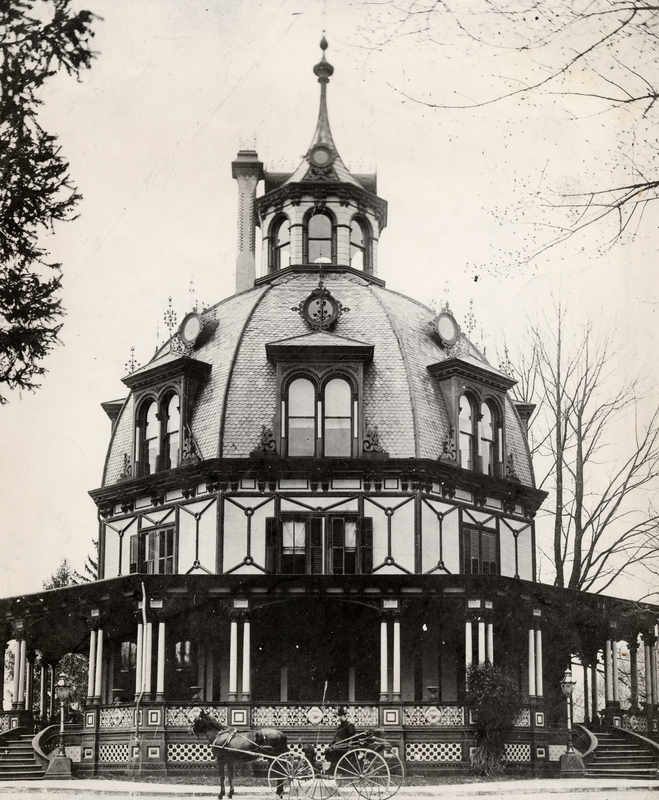 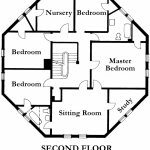 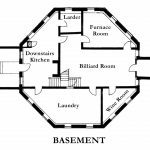 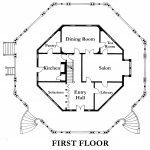 Following the publication of “The Octagon House,”A Home for All,” by phrenologist, sexologist and amateur architect Orson Squire Fowler, octagonal houses became popular in 19th century America. 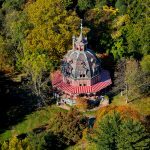 In 1872, prominent New York City tea merchant Joseph Stiner purchased a simpler version and made alterations that included the addition of the dome and the verandah, creating a classical, elaborately detailed ancient temple whimsically colored, detailed and decorated to enthrall visitors. 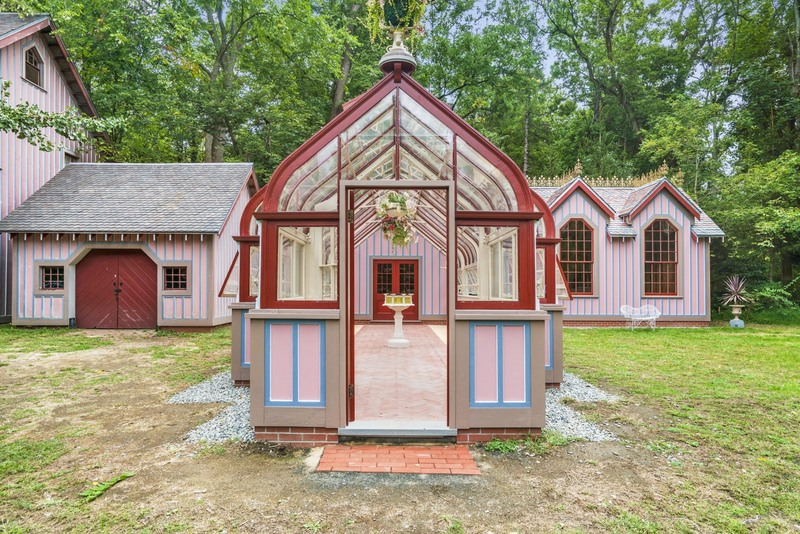 Subsequent owners were a colorful lot: In the 1930s it was occupied by Aleko Lilius, a Finnish writer and explorer who had lived with a female pirate who had plundered ships off the coast of China. 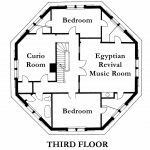 One of the most celebrated occupants was author, poet and historian Carl Carmer, who lived in the house from 1940 until his death in 1976–his legacy includes tales of a resident ghost. 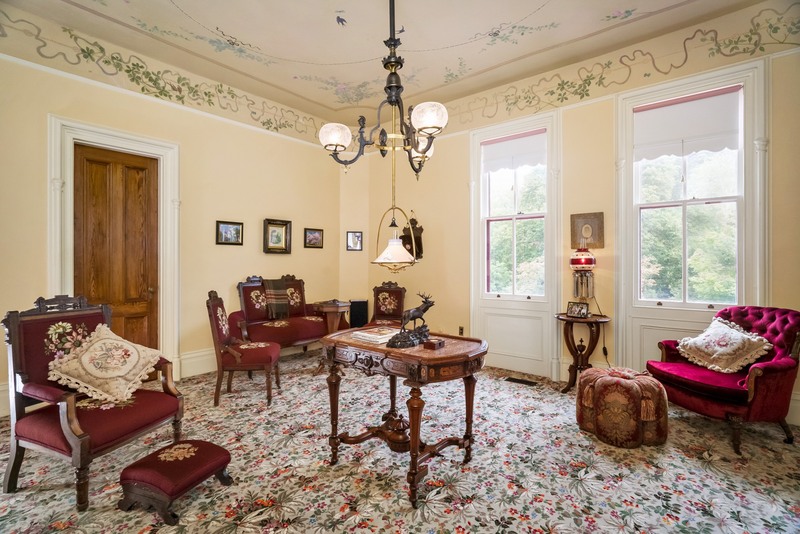 Following Carmer’s death the home was acquired by the National Trust for Historic Preservation and sold to a private citizen. 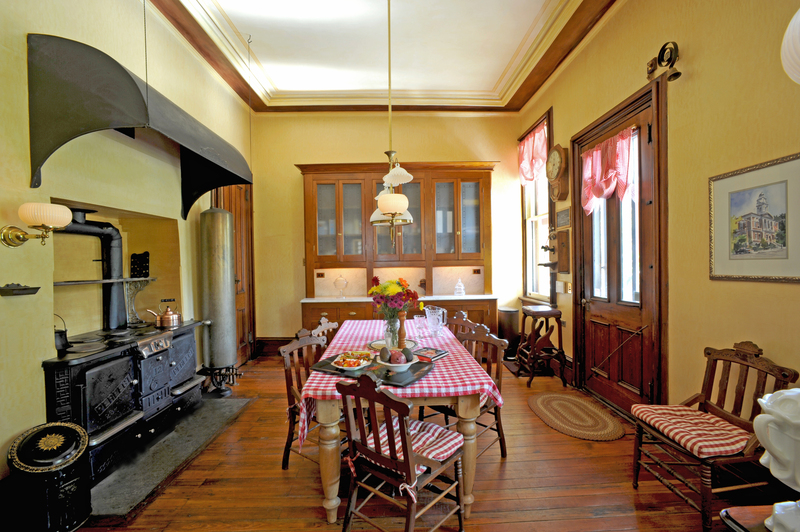 Joseph Pell Lombardi, a preservation architect specializing in conservation, restoration and historic preservation. 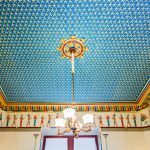 Under the direction of Lombardi’s son, Michael Hall Lombardi, the home, including the Egyptian Revival Room, Basement, Kitchen, Greenhouse and Studio and much of the decorative surfaces have been lovingly restored. 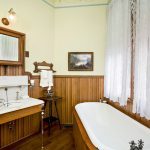 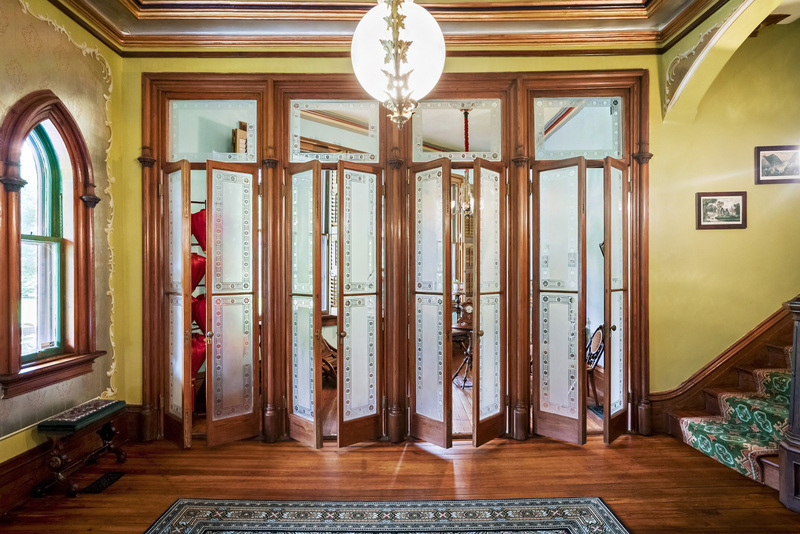 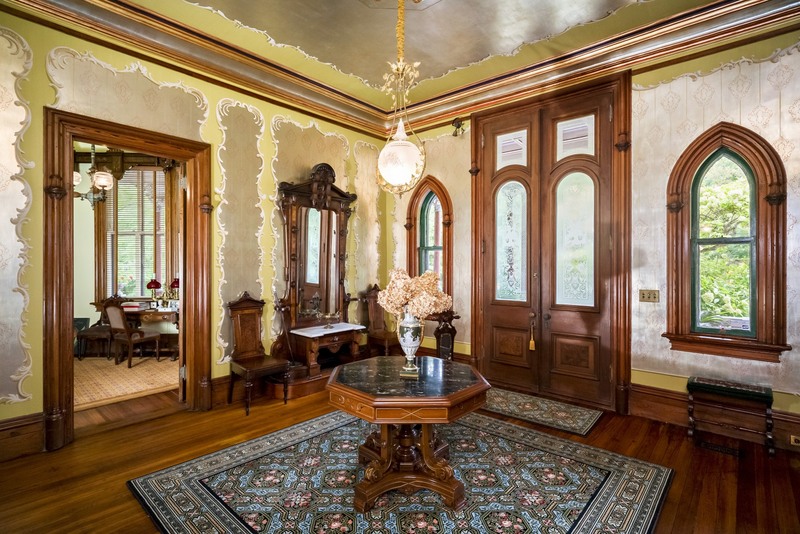 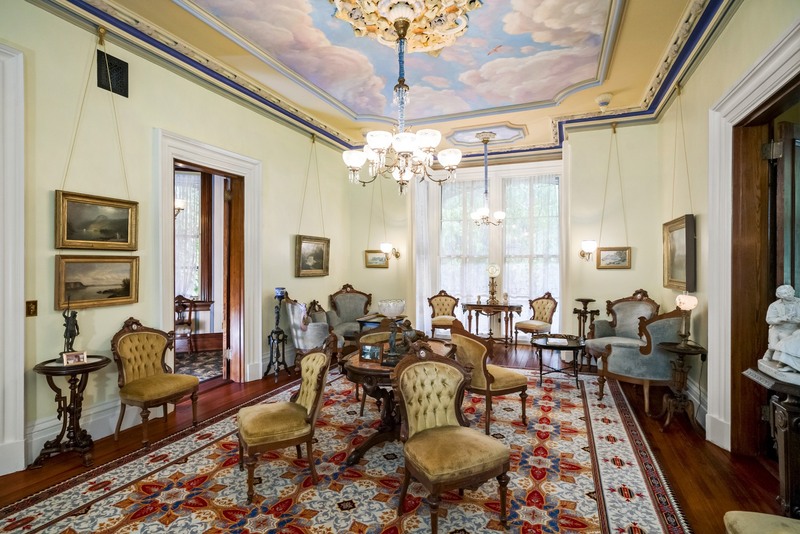 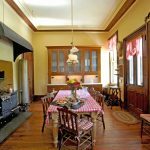 The interiors including the 1870s furnishings are said to be the country’s finest display of the American neo-Roman style that was popular in the 19th century. 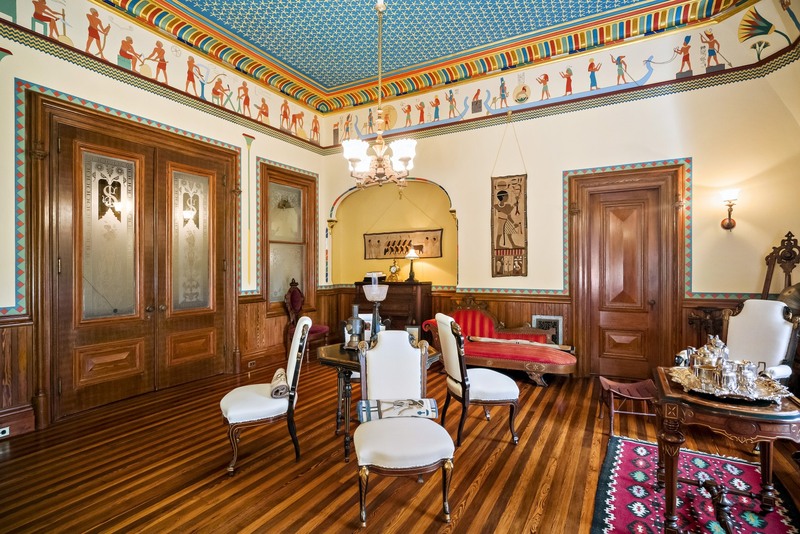 The only domestic Egyptian Revival room still in existence can be found here as well, complete with its original 19th century furnishings and decoration. 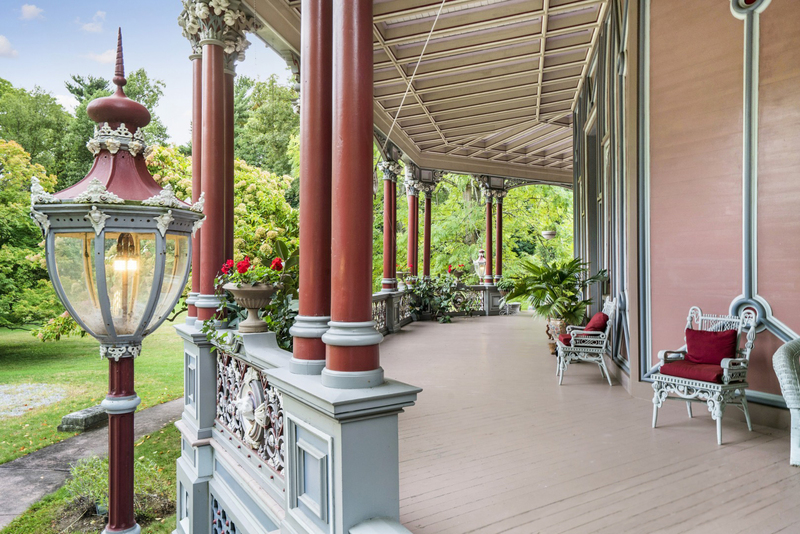 The grounds have been restored to their 1872 splendor. 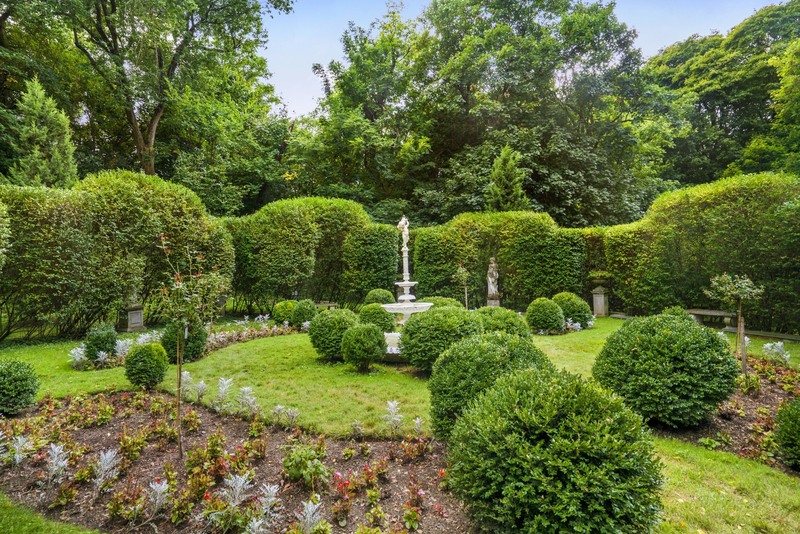 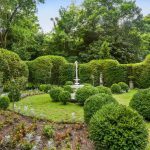 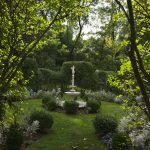 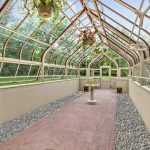 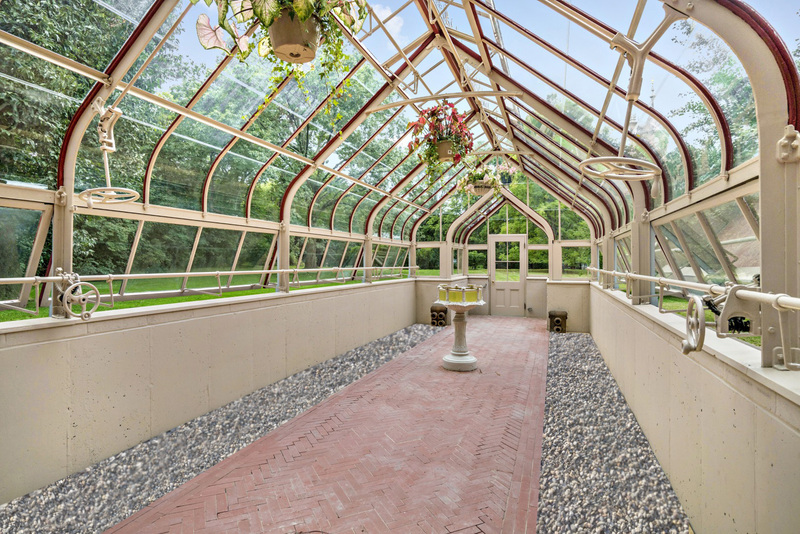 The house, which sits on three acres, is surrounded by meticulous gardens, specimen trees, a carriage house, and an original Lord & Burnham conservator. 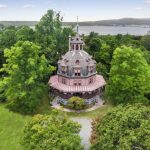 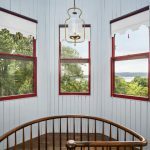 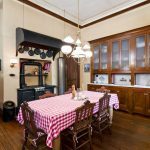 The house is located 18 miles north of New York City and is a 15-minute walk from the Metro-North Ardsley Train Station. 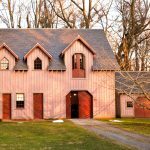 You can find out more about visiting here.